President Trump will present the Medal of Honor to an 80-year-old Vietnam War veteran on Oct. 17. Sgt. 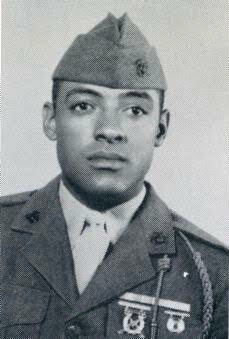 Maj. John L. Canley will receive the nation’s highest military honor for his bravery and strength some 50 years ago as a U.S. Marine serving in the Vietnam Battle of Hue in 1968. The White House made the announcement Tuesday that Canley would receive the top honor for his “conspicuous gallantry,” Fox News reported. Trump has awarded five Medals of Honor during his presidency. Canley will receive the sixth, and he will be the third Vietnam War vet to receive the medal. Canley joined the military at the age of 15 and served in the U.S. Marine Corp for 28 years. While Canley’s battalion was under heavy enemy fire, he carried injured Marines into safety, even though he was also wounded. “So, they hear a noise and they look back and there’s Canley. He’s walking down, upright, not running, walks over the little berm, picks up the first guy, throws him over his shoulder and walks back. So, there’s two independent eyewitnesses on this. … Canley says to them, individually, ‘Keep down, there’s a lot of incoming,’” said John Ligato, a Marine and FBI agent. Canley did receive the Navy Cross for trying to protect many of his fellow Marines during his many tours from 1965 to 1970, in Vietnam.